Property Description: Want to own a property in one of the fast-growing cities of Andhra Pradesh? Then Vijayawada is the best option to make an investment. 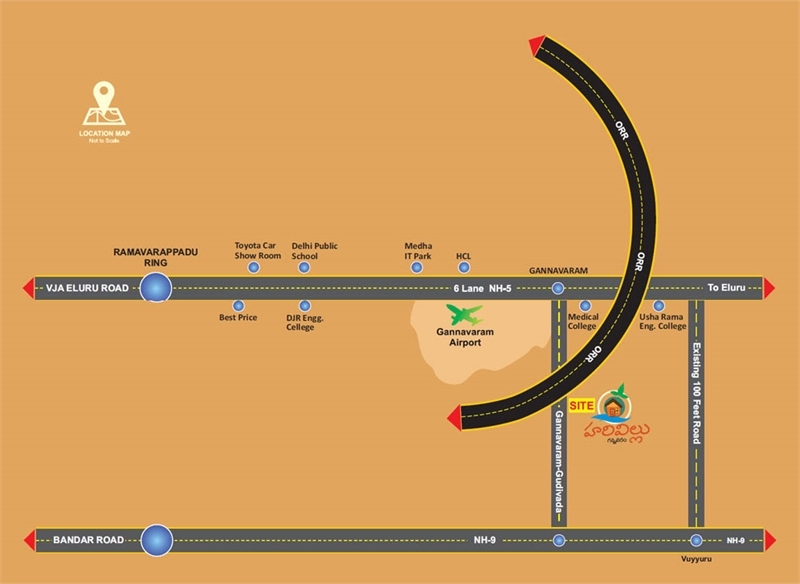 Sreshta Housing Projects Pvt Ltd is presenting a new project of well-laid plots near Gannavaram. It is located in the outskirts of Vijayawada with pleasant weather and healthy neighborhood. The plots are provided in a serene and peaceful locality with a pollution free environment. All the plots are 100% Vaastu compliant and provided with up to date amenities. The key highlights of the project are its proximity to the International Airport, Medha Towers, HCL, and the Outer ring road. As it is a CRDA approved layout you can also avail Bank loan facility.